Boris Johnson, the former foreign secretary, has today unveiled his own ‘Super’ Brexit plan – a direct alternative and opponent to the Prime Ministers Chequers Brexit plan. The ex-foreign secretary, who quit over Theresa May’s Chequers Brexit plan, called her strategy “a moral and intellectual humiliation”. The timing is significant – on the eve of the Conservative Party conference, as the prime minister would face further pressure from her own MPs to change her approach to Brexit. Theresa May has insisted she will lead the Conservatives into the next general election, but a number of Tory MPs are said to be ready to back any moves to topple her leadership. In a column for the Telegraph Newspaper he calls his plan “a better plan for Brexit,” Mr Johnson wrote, using harsh words to describe his colleagues and himself up until 2 months ago, ‘there had been a collective failure of government, and a collapse of will by the British establishment, to deliver on the mandate of the people’. He said the Chequers proposals represented “the intellectual error of believing we can be half-in, half-out” of the EU. As he describes his Brexit plan, called ‘Super Canada’ – he envisages a deal that would not lead to a hard Irish border, with any checks that would be carried out away from the crossing. Similar to Canada’s deal with the EU. In 2016 the EU trade deal with Canada removes the vast majority of customs duties on EU exports to Canada and Canadian exports to the EU, a deal that covers goods as well as services. Mr Johnson argued that it should be “relatively straightforward” to negotiate membership of the EU’s aviation area, with a process for recognising each other’s rules and a dispute mechanism in which neither side’s institutions had power over the other. He also said cooperation between the UK and EU would be closer on areas such as security and defence. The ambitious politician rarely shy’s away from an opportunity and political commentators have long speculated how long it would be before he would turn on PM May. Even his appointment as the foreign secretary was a concession – in his mind a missed opportunity where he played the wrong hand. 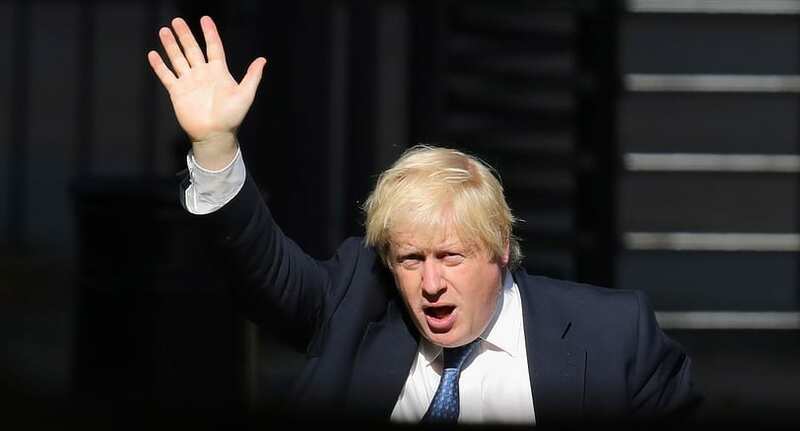 However, fate has favoured the mercurial former Mayor of London, as he now has the opportunity to rescue the conservative party from the inevitable backlash of taking the country out of Europe and position himself as a leader for the future. This is his first step to building some momentum towards his campaign for a leadership contest.’ His Plan’ for New Britain, led by a new leader and the one ready to take the party forward into the next decade. The Prime Minister shrugged off any talk of a leadership challenge and said: “I’ve been asked before whether it is my intention to lead the Conservative Party into the next general election, I’ve answered that question before: I’m in this for the long term.” And insisted even if that means she has to fight off a leadership contest with Boris Johnson.